Are you looking to have your locks replaced or upgraded? 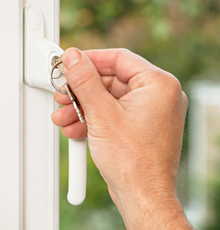 SF Locksmiths provide a professional lock replacement service at competitive prices that are guaranteed for two years. Regardless of the age or supplier of the door, we are confident that you will be delighted with our installation service. There are many different types of locks fitted to doors such as mortice and multipoint locks. We realise that it can be confusing to the general public over what type of lock you have and need. It is important to ensure that the correct type is fitted to your door, thus keeping your family and home as secure as possible. With over twenty years of experience in the locksmith industry, we know what is needed and how it should be fitted. On wooden doors you will find either a mortice lock, this should be five lever and British Standard or a nightlatch. 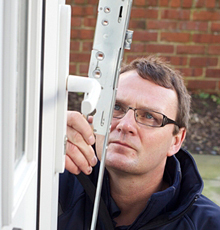 uPVC doors have a multipoint lock and euro cylinder for security. These can, and do, fail after time; but all locks are carried on our specially designed mobile van to ensure that your door lock is repaired or replaced the same day we visit. If your door lock requires attention here is a list of the types that we carry and install, all our locks are covered by our two year guarantee. We offer a window lock repair service as well. Our range of locks covers the vast majority that have been fitted in the Doncaster area over the past twenty years. Regardless of the age of your window there is every chance we can repair your window lock. We also realise that windows are just as important to keep your home secure, and if required we can be with you the same day you call. With over twenty years of experience of replacing uPVC and wooden door locks, you can be confident that choosing SF Locksmith to repair your doors and windows is the correct choice. Our aim is to always be professional in our work and manner, and to always put our customer's needs first. Came out within hours of phoning. Polite and friendly manner. Did the job in no time at all. Would use again.